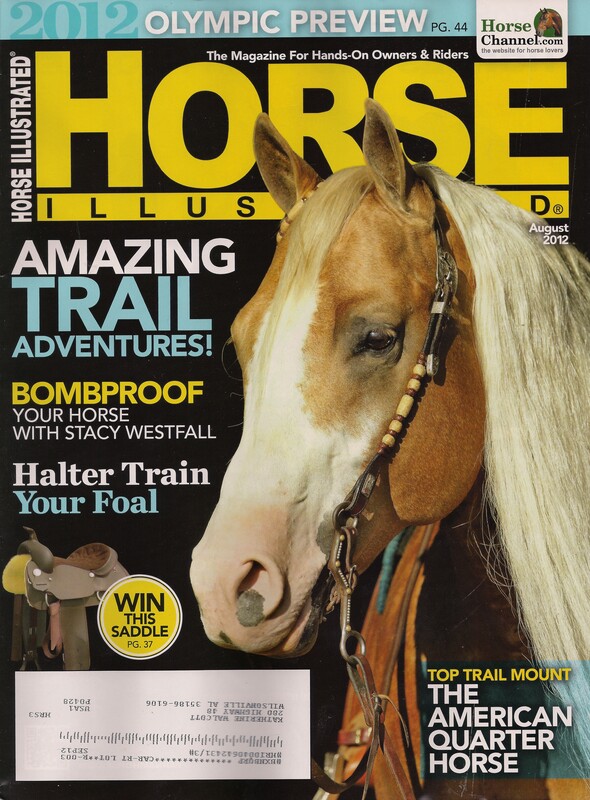 My essay “Talking with Animals” appears in Horse Illustrated, August 2012. The non-compete contract says I have to wait 6 months to post. Go buy a copy. Bump up those circulation numbers. My issues will be so in demand that editors will clamor for my copy & I’ll get so popular that folks buy the magazine just to read what I have to say. Sorry, channeling my inner Wofford there for a minute. To avoid narrative confusion, the speakers in the essay appear unattributed. The cat was Mew, my Siamese. He started with a classier name but it devolved over time. The horses are Caesar [Previous Horse] with Mathilda in a supporting role and the jumper mare pictured in the Yin & Yang post. In return for such shameless self-promotion, I offer an online bonus of two that didn’t make the final cut. The first, with Rodney & Mathilda, was deemed too snarky. The second was insufficiently equine. Animals place blame. Our two current horses eat al fresco. Since the Thoroughbred gelding gets less and eats faster than our retired mare, one of us stays in the field to keep them separated until she finishes. The Thoroughbred is largely resigned to this but occasionally slips past. If he gets too close, she looks up, not at the other horse but at us. Her look says, ‘You brought him on the property. He’s your problem’. Anyone who says animals can’t talk just isn’t listening. my two horses used to squabble over who got the most carrots. And they counted very carefully. i stopped bringing them out of the field together and all was fine. They know a lot more than we give them credit for. Love the paragraphs that didn’t make the cut. Might have to fork over the cash to get a copy of HI to read what did make the cut.